When I started writing about Yellowstone I realized there’s a lot to know and tell about this park. I have no clue about guidelines for how long blogs can be (and honestly, I don’t care) and after I finished typing, it had become a really long story. Therefore I decided to make two Park Post entries. 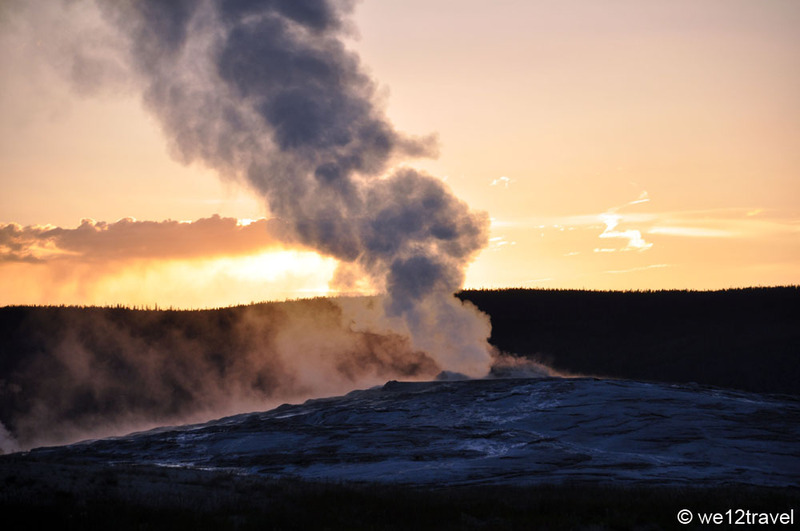 This first part is about how to plan for Yellowstone National Park and where to find useful information. In the highlights of Yellowstone, you will find our personal highlights, as well as some disappointments, which will hopefully make it easier to on how to plan for Yellowstone. When planning our USA roadtrip, we initially just wanted to visit Colorado. But after doing some research, I knew that Yellowstone had to be in our trip as well. 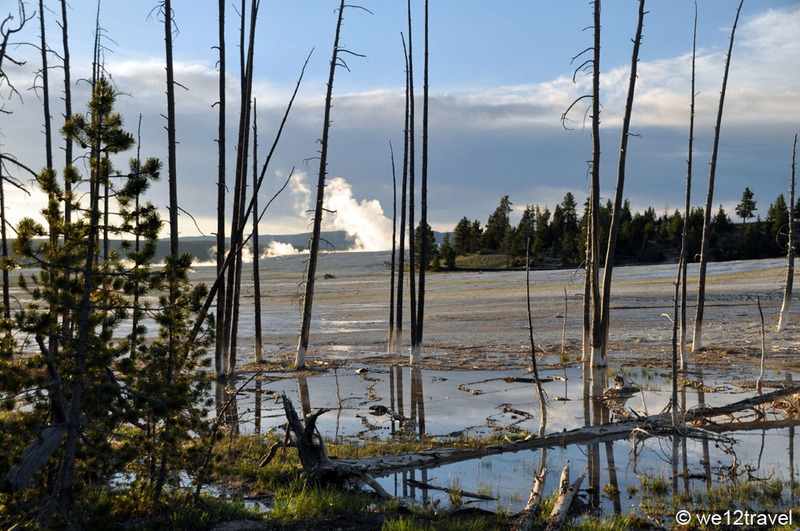 I saw the ‘Yellowstone Supervolcano’ documentary on tv and even though the pictures on the internet didn’t look that impressive at first, it was a gut feeling we needed to make our way over. Call it fortunate or unfortunate, for Dutch standards the park is quite far away from everything. It’s a full day drive from Salt Lake City and even longer from Denver. Sure, you could probably drive it in a much shorter time but do you really want that? If you plan on going, take your time on driving! We came from the southwest (SLC) and the last hour before Yellowstone the landscape was already pretty gorgeous. When taking the road in southern direction, towards Denver, the drive is even more stunning and passing the Tetons is a must, because in my humble opinion, these are among the most scenic mountains on the planet! I knew that one full day in Yellowstone would not be enough, so we planned two full days inside the park. If you have more time, please consider spending more days there, you won’t regret it! We were up and running from 5.00 am until 10.00 pm for three days in a row and still didn’t get to see everything we wanted. Unfortunately, we just didn’t have more time as there were so many other things we wanted to see when going all the way to the USA. Life is all about choices, especially when you come from overseas. We stayed at Madison Campsite which we thought has a good location in the southwestern area of the park. It’s not too high up altitude wise, so it doesn’t get too cold during the night. 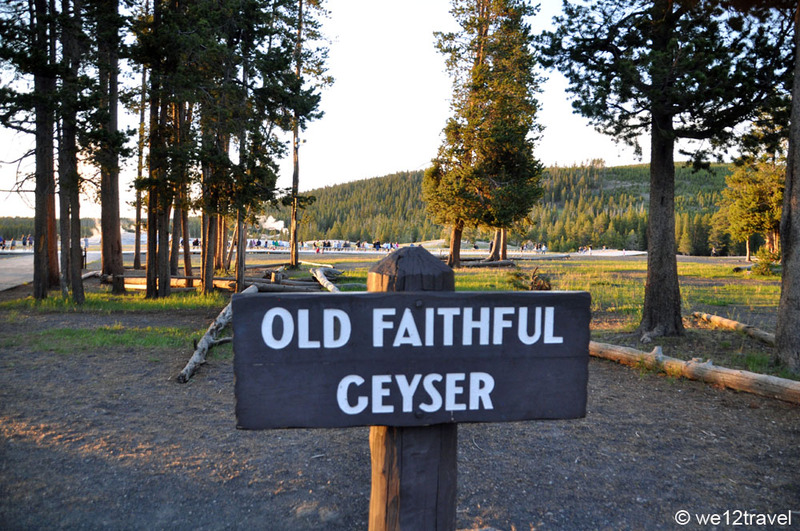 Madison is quite close to some major highlights such at Old Faithful and Norris Geyser Basin. The campsite is large but quiet, at night the only thing that woke me up would be someone snoring (the perks of tenting) or a car coming back from somewhere in the middle of the night. The bathrooms were pretty clean and there was a place to wash dishes which was a luxury. There are no showers though, the closest ones are at Old Faithful Inn, about 30 minutes driving away. We paid $21 plus tax per night, which we thought was pretty reasonable. 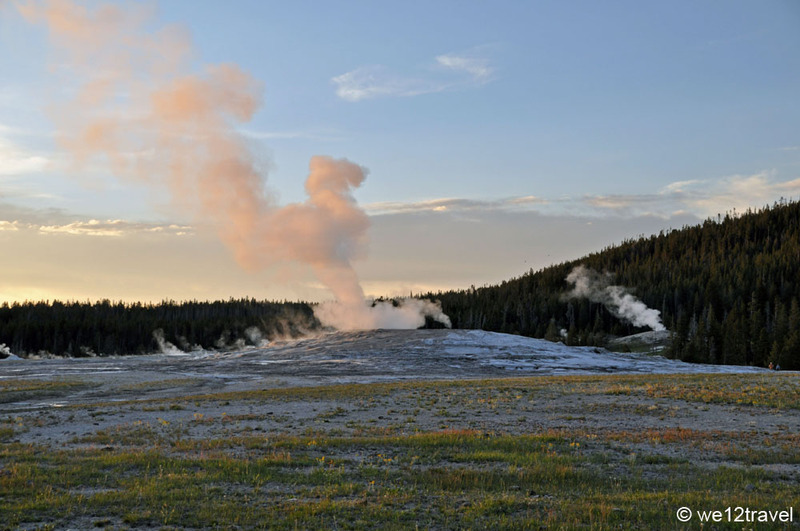 I know you probably don’t want to plan every minute of your trip, but try to take some time to read about what Yellowstone National Park has to offer. There’s a lot to see and do and because there are so many other tourists (yes, you won’t be alone!) traffic jams occur a lot and at major sights, it can sometimes be a pain to find a parking spot. Lonely Planet has a guidebook just about Yellowstone and Grand Teton which was useful when planning from home, but we didn’t use it a lot while in the park because the park service can provide you with plenty of information upon arrival. Just make your way to a visitors center, there are some in various areas of the park. They will be happy to help you with any questions you have. You may also want to check out the website of the National Park Service, which we got a lot of information from, especially about activities and hiking. The roads in Yellowstone are in the shape of an 8. We did the upper loop in one day and the lower loop in one day. You could probably do the both of them in one really long day, but the distances and driving times were longer than we expected! Sometimes there would be a major traffic jam for a bear next to the roadside or bison suddenly crossing, which easily led to at least a half hour delay. We also thought there was ‘too much’ to see, or at least, too much for just two days. During our first hour on the road we stopped at every roadsign and everything that looked even slightly picturesque. However because of our endless stopping we missed the guided ranger walk we planned on joining (they’re free and highly recommended!) and realized we needed to make choices about what to see and do. 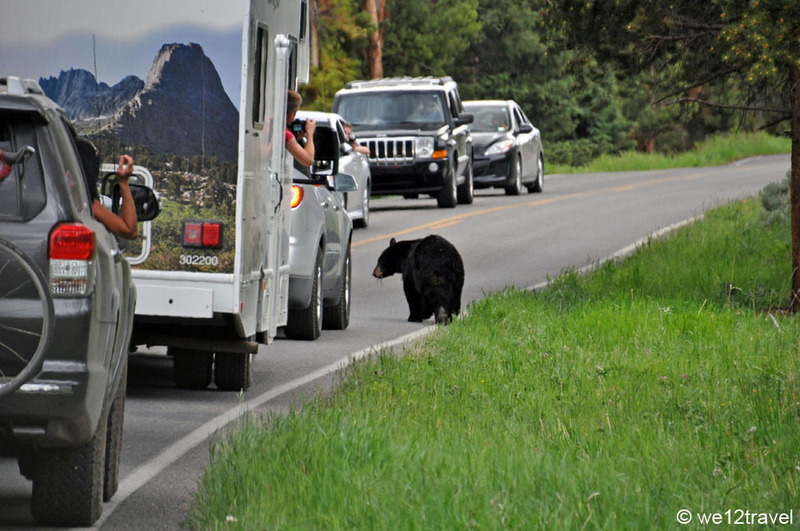 One last bit of advice when planning a trip to Yellowstone is to be bear aware! When buying outdoor gear in Denver we asked the guys at the outdoor shop we went to if we really needed bear spray. After we told them we were going to Yellowstone, their answer was a definite yes. At first, we were kind of funny about it and kept on thinking it had been a waste of money because after all, $50 is a lot for something that you’re not even allowed to bring home and hopefully not going to use. Upon arrival at the campsite we were told a bear had been seen on the premises the night before and we were given very strict instructions on how to camp with bears. Of course we followed the guidelines of the campsite concerning food storage and while hiking in the backcountry, we were as careful as possible. 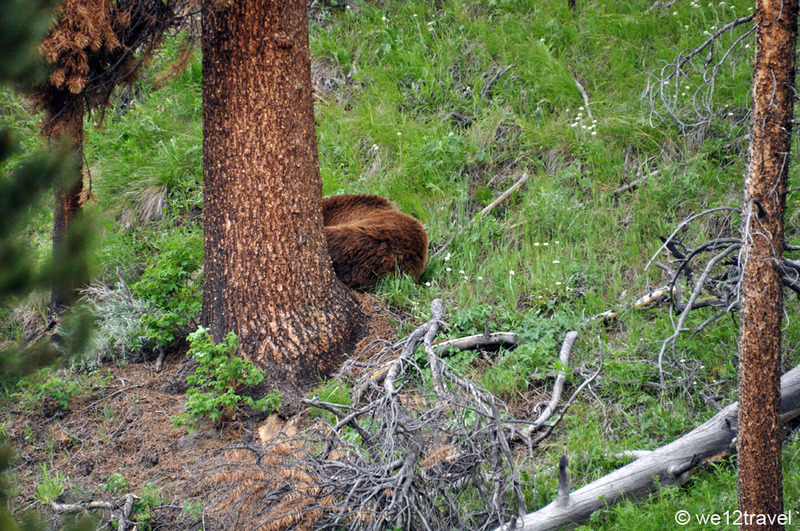 However, we still had a close bear encounter, which you can read all about in one of our previous blogs. When we saw a grizzly and another black bear on the road later that day and heard that two years earlier two male hikers were killed by bears, we realized bears are a serious threat and should never be underestimated. This will be all for today, I hope the above information has been helpful in how to plan your trip to Yellowstone National Park. If you’re looking to plan your own trip, make sure to order your copy of Lonely Planet Yellowstone that’s filled with more useful information. Alternatively, make sure to book your accommodation well ahead as summers are usually pretty much booked up well in advance. Check availability and prices for all accommodation around Yellowstone National Park here. Woah! that bear image is crazy. These people actually left their car windows open to take pictures? This is not yogi bear! But this really remind me – in the age of social media and other self pretenious reasons to take pictures, so many people forget all about their manners, dangers or actually taking in the scenery. Wild! And majestic. I would love to visit one day. When I saw the top image, I was half expecting the post to be about Iceland, not America 😉 Are there hot springs where you can swim? Super interesting post! Grand Prismatic Spring looks amazing! Yellowstone is still on my list. This makes it more of a priority. yeah, Grand Prismatic is such a beauty, never seen anything as colorful as that before! Yes! This is exactly the information we need – we are looking to start some North America travel when we finish here in Asia in November and this is on the list! 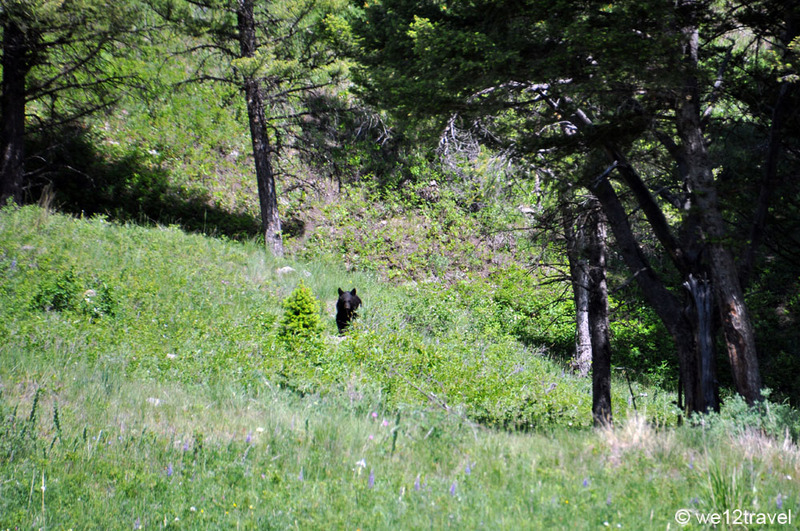 I’m also one of those crazy people who love to see bear in the wild – albeit at a safe distance 🙂 Thanks so much – heading over to part two for more great advice! Thanks Carolann! Hope you will get to see a bear, though from a safe distance. 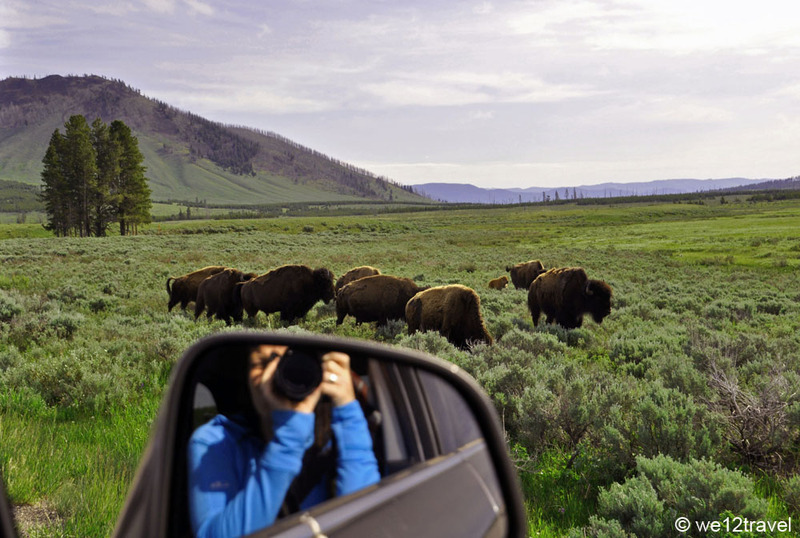 Yellowstone offers great wildlife experiences though you have to be a bit lucky. Happy traveling! We have been twice to Yellowstone! One of the few places we don’t mind seeing over and over again! Great tips! My made many trips to Yellowstone with his family growing up, but it’s not somewhere I have visited yet. My kids want to see Old Faithful. Thanks Dana! Hope your kids will get to see this amazing piece of nature one day, Old Faithful is just awesome! 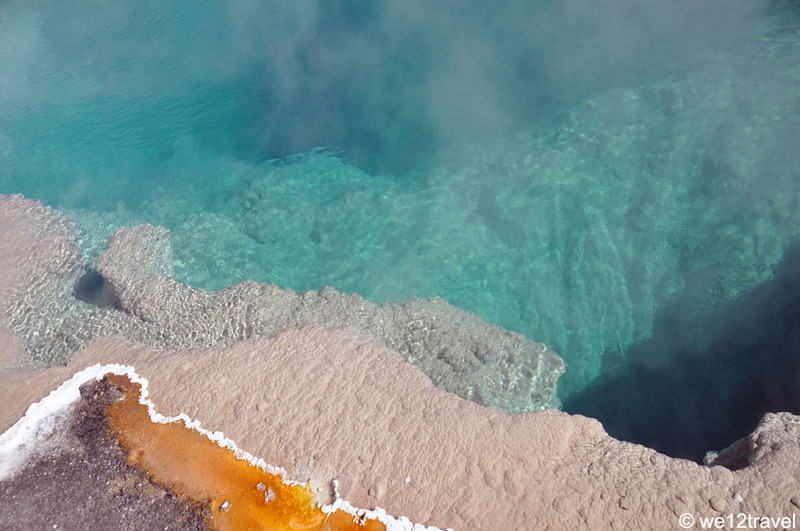 I keep hearing about Yellowstone over and over this year, it seems like it is a sign to visit, if only it wasn’t half way across the world… but it does look absolutely beautiful. From wildlife to nature, all fantastic! Haha yes it isn’t exactly easy to get to but much worth every minute of the journey. Hope you will make it there one day! I’d go there just to see the bears! It sounds like you had a good time and saw a lot. I’m sure there’s enough to do there to take up many full days of driving around. It’s so fun that you can just pull over and observe the animals on the side of the road. There is so much to do. I hope you will get to see bears though, we drove around for days and only saw bears on one day, it’s really a big matter of luck! Wow, you really are one with the wild there aren’t you? Its on my list of must see’s one of these days! In the meantime, thanks for the awesome pics! Haha yeah well kind of! Yellowstone is awesome, hope you can make it there one day! Yellowstone is such a fascinating and beautiful place! We had never been but are dying to go. Thanks for the pictures! You’re welcome, I really hope you can go one day!